Morning walk rounds have lost some of their engagement while remaining a useful and valued practice. We created a pilot study to evaluate the impact on rounds of learning to asking a variety of different questions. One-hour intervention sessions were voluntarily offered to members of the Department of Medicine and taught by an expert in the question, listen, and respond method. Participants included attendings and residents in Internal Medicine on medical teams. Questionnaires were collected on six pre-intervention and six post-intervention days. Nine months later, an anonymous online survey was sent to participants asking about their use of a wider variety of questions. This pilot study indicates that the 1-h intervention of learning to ask a variety of different questions is associated with rounds that are rated as more worthwhile and engaging by the medical teams. The online version of this article ( https://doi.org/10.1007/s11606-018-4381-2) contains supplementary material, which is available to authorized users. Recognizing the potential importance and impact of having a range of questions to engage the residents, medical students, and attendings on rounds, we designed a voluntary intervention focused on learning how to ask a variety of types of questions. We evaluated whether teaching this skill set could change the perceived educational value and engagement on rounds. Internists, primary care providers, hospitalists, medicine specialty service attendings, and residents at Brigham and Women’s Hospital were invited through advertising email message and via the hospital plasma screens in the hallways to voluntarily attend one of four “Asking the Right Question of the Right Person at the Right Time” sessions.8 Each of these four sessions was a 1-h intervention session held in a hospital conference room with a screen and projector for showing a PowerPoint slide set. All four sessions were held in the hospital, two at a time slot during the workday (12:00–1:00 PM) and two after hours (5:00–6:00 PM). Participation was completely voluntary. Participants were asked to sign in as they arrived at the session to record attendance. James Honan, Ed.D, Senior Lecturer at the Harvard Graduate School of Education and teacher of the question, listen, and respond method of discussion leadership 8,9 led “The French Lesson” copyrighted Harvard Business School teaching case for 30–35 min in an interactive manner. The case was purchased from Harvard Business School Publishing for each participant (The French Lesson Case Parts A and B) by Abby Hansen (Case No. 9-384-066). The case described a French Lesson class where a junior faculty member significantly alienated one of the students by his behavior. Dr. Honan used the case as a vehicle for modeling asking a variety of questions to get each participant in the session to join into the discussion of why the class went so wrong for one of the students. Text Box 1 shows the variety of questions that are asked by Dr. Honan during each intervention session. A PowerPoint Slide Set (See online Appendices, PowerPoint Slide Set) was shown and handed out during the intervention session that outlined each type of question and gave one or more examples. The slide set also focused on summarizing teaching points and providing clinical pearls and high-yield points.4 (See online Appendices, PowerPoint Slide Set). This slide set was placed on the Division of Medical Communications’ website for viewing by all residents and attendings. o What’s Going On? What do you (Mr. / Ms. Student) make of this situation? Casting question nets out to see what comes in. Listening for entry and emphasis points. o How do you interpret and explain “A” and “B’s” impact on the situation? o How do you weave these points into some kind of understanding of what else is going on, possibly behind the scenes? o Where…When…Who…What? Facts and opinions. o Why do you say that? How would you explain? Where is the evidence for what you say? How can you say a thing like that? Is that all? That’s just the opposite of what Student X said. Can you persuade him/her? o Exploring the issues. What else? Can you take us further down the path to find new tributaries? Keep going….therefore? o How would you relate your points to those mentioned by Student A or to something else you said? o Which issues do you consider most important? Where do you start? How would you rank these? o What would you do in Person X’s shoes? How? And How (again) would you do that? (Keep asking HOW). o What do you think would happen if we followed Student Z’s action plan? Give us a forecast of your expectations. How will he/she react to your thinking? o What inference can we make from this discussion and case? What generalizations would you make? How would you summarize the three most critical issues that we have? Louis Barnes, Ph.D. and James Honan, Ed. D.
Partners IRB approval was obtained for an anonymous hard copy paper survey that was given to internists, primary care attendings, specialty attendings, hospitalists, and residents with the following statements/questions: (1.) Morning Walk Rounds were a worthwhile educational experience (Likert scale of 1–5 where 1 is Strongly agree and 5 is Strongly Disagree and (2.) Did you feel engaged on Morning Walk Rounds? (Likert Scale of 1–5 where 1 is Very Engaged and 5 is Not at all Engaged). The third question was a free text response: “How would you make Morning Walk Rounds more vibrant, inclusive, and high-yield? All hard copy, paper surveys were given out and collected by HS on the six consecutive weekdays in the pre-intervention period and six consecutive weekdays in the post-intervention period. HS gave out surveys in the morning and collected them in the late afternoon/early evening. Patient census data were collected from the admissions office at Brigham and Women’s Hospital to determine whether there was a significant difference in the number of patients being cared for by the medical teams in the pre-intervention compared to the post-intervention period. We wished to ascertain whether a high patient census count was a factor in the resident and attending response rates and/or comments. The number of residents and attendings working on each general medicine team floor, intensive care unit, and oncology team was determined for the actual survey days. Nine months later, Partners Hospital IRB approval was obtained for an online Qualtrics (Provo, Utah) anonymous survey to each of the 33 physicians who participated in one of the four intervention sessions (See Text Box 2, online Appendices). Data was organized into groups, including pre-intervention and post-intervention, attendings/residents, and different teams. Means were calculated and tested using independent-samples t tests (SP). A total of 25 medicine attendings out of 78 medicine attendings (32.0%) and 8 medicine residents out of 182 internal medicine residents (4.3%) voluntarily attended one of the four 1-h intervention sessions. Thirteen teams were surveyed: five general internal medicine teams, four oncology teams, two medical intensive care teams, one cardiac failure team, and one cardiac intensive care team. Since resident responses were anonymous, it is not possible to exclude that a resident was on a medicine team in the pre-intervention period and then in the intensive care unit in the post-intervention period. A total of 208 physicians (25 attendings, 175 residents, and 8 unknown ranks) filled out the paper pre-intervention surveys and 181 physicians (18 attendings and 155 residents, 8 unknown ranks) filled out the post-intervention surveys out of a possible 90 attendings, 384 residents for both the pre-intervention and the post-intervention dates. The response rates for the pre-intervention surveys were 45.5% for residents and 27.7% for attendings. The response rates for the six post-intervention dates were 40.3% for residents and 20% for attendings. There was no statistically significant difference between the pre- and post-intervention rates of return. When the survey results for all 13 teams’ pre-intervention and post-intervention were analyzed, a significant difference overall was found for engagement in rounds in the post-intervention period compared to the pre-intervention period (p < 0.008), and borderline significance was noted for rounds being a worthwhile educational experience in the post-intervention period (p = 0.054) (Table 1). Table 2 shows the collapsed medical teams’ responses compared to the oncology teams, cardiac teams, and intensive care teams’ pre- and post-intervention responses. The data indicate that morning walk rounds on the medical teams were perceived as a significantly more worthwhile educational experience after the intervention (1.55) compared to before the intervention (1.99) (p < 0.001). This was also true for engagement where the pre-intervention value of 1.68 significantly improved to 1.30 (p < 0.001) in the post-intervention time. In comparison, the Oncology, Cardiology Services and Intensive Care Teams’ responses did not change significantly. In the pre-intervention period, 131 out of 208 physicians (62.9%) made anonymous suggestions to improve rounds. In the post-intervention period, 92 out of 181 physicians (50.8%) made suggestions for how to improve. Ninety percent (90%) of all the suggestions pre-intervention and post-intervention were from the residents and 10 % from the attendings. Forty-five percent of the resident suggestions in the pre-intervention group came from the general medicine teams while 46% of the suggestions in the post-intervention group came from the medical teams. The top suggestions in order of frequency were for teaching points and clinical pearls followed by more dedicated time for teaching, greater patient focus, more interactive teaching, inclusive/multidisciplinary teaching, wider variety of questions, high-yield points, and evidence-based teaching (Fig. 1). No statistically significant difference was found among the specific suggestions made in the pre-intervention compared to post-intervention periods. Of interest, the number of residents’ suggestions from the medical service teams was disproportionately large compared to all the other teams, but this difference did not reach statistical significance. (See online Appendices, Table A). No statistically significant difference (NS) was found between the patient census counts on the medical teams for the pre-intervention and post-intervention dates. The hospital patient census was at full capacity for both sets of dates. Nine months later, participants in one of the teaching intervention sessions were sent an online survey. (See online Appendices, Text Box 2). Eight out of 33 participants (24.2%) completed the online survey. Survey responses indicated that 87.5% (7/8) recognized that there are a wider variety of questions to ask. Seventy-five percent (6/8) had used a wider variety of questions than previously. Seventy-five percent (6/8), Sometimes (5) and Always (1) used a high-yield point or clinical pearl in their teaching. Sixty-two and a half percent (5/8) responded definitely, yes and (2/8), 25% probably, yes, total number (7/8) (87.5%) that they definitely or probably had a broader toolkit of teaching techniques. Two of the seven attendings in the post-intervention period had attended an intervention session before attending on the general medicine teams. This pilot study indicates that the intervention of teaching how to ask a variety of different questions 8 on morning walk rounds was associated with more worthwhile and engaging rounds as perceived by the five general medicine teams. A causal relationship cannot be proven at present for several reasons. First, few medicine service attendings (two) and residents attended one of the four intervention teaching sessions. Second, the pre-intervention questionnaire may have highlighted teaching on rounds as an important issue to be thinking about. Third, word of mouth comments about the use of questions, clinical pearls, and high-yield points may have favored the increased use of both. The small number of participants who responded to the online survey 9 months later indicated that they recognized a wider variety of questions to ask (87.5%) while 75% indicated that they used a wider variety of questions and 62.5% felt they had a broader toolkit of teaching techniques. Prior to the intervention, residents and attendings on all teams indicated that they valued rounds by their overall very good scores for “rounds being worthwhile” (1.99) and “being very engaged on rounds” (1.68) (on a Likert scale where 1 is excellent and 5 is poor). When all teams’ data were stratified by service, however, a significant improvement to excellent in both perceived educational value (1.55) and engagement (1.30) were documented for only the general medicine teams. The other intensive care teams and oncology teams did not change. The rounding format for all these teams, cardiology intensive care, cardiac failure team, medical intensive care unit teams, and oncology teams includes bedside rounding. The exact reasons for the resistance to asking more types of questions were suspected to be due to the preference for a familiar format that conscientiously moved through each extremely ill patient’s data in the hall and at the bedside while completing a standardized review and check of vital signs, recent laboratory and X-rays findings, physical examination findings, and nursing reports. The addition of a variety of questions to include all members of the team did not appear to be a priority. We evaluated the number of attendings who were primary care doctors, hospitalists, and/or specialty physicians in the pre-intervention compared to post-intervention time periods and what their academic rank was. No significant difference in academic rank, hospitalist or primary care/specialty physicians was found between the pre-and post-intervention physicians. We noted that two of the attendings on the general medicine teams in the post-intervention period had participated in the intervention session before attending. Our questionnaire resident response rates were less than 50%, on the average, both in the pre-and post- intervention periods. A primary reason for the less than optimal response rates may have been the high patient census count on the medicine services during both pre- and post- intervention periods which led to extremely busy medical services for both the residents and attendings. In addition, repetition of the survey over 6 days may have led to survey response fatigue as a factor.10 Other physicians have reported similar rates of return and the reasons discussed.11 On the positive side, the respondents’ interest in rounds is indicated by the fact that of the surveys filled out, 50–62% of them contained concrete suggestions to improve rounds and 90% of these suggestions were from residents. The chief suggestions included wanting more teaching points and clinical pearls,4 more dedicated time for teaching on rounds, more interactive rounds, wider variety of questions, greater patient focus, and evidence-based medicine. 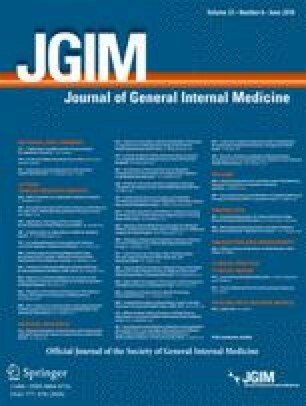 Although greater patient focus was suggested more frequently in the post-intervention period compared to pre-intervention group and teaching points/clinical pearls were suggested less frequently in the post-compared to pre-intervention period, these differences did not reach statistical significance. In addition, none of the other suggestions significantly changed from pre-intervention to post-intervention. Of interest, the number of residents’ suggestions from the medical service teams was disproportionately large compared to all the other teams, but this difference did not reach statistical significance. Physicians who had attended an intervention session indicated 9 months later that they used a wider variety of questions on rounds and had a broader toolkit of techniques for teaching. Two of the physicians who were known to have attended an “Asking the right question” intervention session were listed as post-intervention attendings for a medical service team. Strengths of our study include the relatively large overall number of responses over a 6-day pre-intervention and 6-day post-intervention periods, numerous suggestions for improvement of walk rounds mostly from residents, reasonable return rates, and absence of a significant patient census effect. Limitations of our study include more medicine attendings than residents attending a teaching session, inability to identify residents who may have been on a general medicine team in the pre-intervention period and were then on a oncology, cardiology, or intensive care unit team in the post-intervention period or vice versa, inability to track how many residents/attendings may have watched the videotaped sessions of the intervention that were placed on the Division of Medical Communications’ website for viewing, and no objective recording of rounds to show that more questions were asked in the post-intervention compared to pre-intervention rounds. In addition, there could be a self-selection bias in that those who completed the surveys were more interested in bedside rounds and improving teaching on rounds and were therefore more likely to complete the survey and provide suggestions. We have continued the voluntary intervention sessions on “Asking the right question of the right person at the right time” this academic year, 2017–2018 for all interested medicine attendings and residents.8 Our goal is to provide evidence of the sessions’ effectiveness in a future study that will videotape rounds where the attending and residents have voluntarily participated in an intervention session to see if during the post-intervention period, we can document that these residents and attendings ask a wider variety of questions and involve a statistically significantly larger number of the rounding group in an interactive manner compared to a control group. We also plan to expand our pilot survey study to determine the impact of utilizing a wider variety of questions on the perceived educational value and engagement of rounds for both patient and team members in the pre-intervention and post-intervention periods. In summary, our data indicate that a pilot study that focused on “How to ask a variety of questions?” was associated with a significant improvement in engagement and perceived educational value of morning walk rounds by the general medical teams. Physicians who participated in an intervention session generally reported using a wider variety of types of questions 9 months later. We are grateful to members of the Teaching on Rounds Committee: Dr. Nadaa Ali, Dr. Christopher Cannon, Dr. James Colbert, Dr. Julia Caton, Dr. Joel Katz, Dr. Natalia Khalaf, Dr. Walter Kim, Dr. Anthony Komaroff, Patricia McCormick, MBA, Dr. Vanessa Mitsialis, Dr. Jennifer Nayor, Dr. Alyssa Perez, Dr. Sonny Qazi, and Dr. Marshall Wolf, for their excellent recommendations. We are particularly grateful to David Braun, M.D., Ph.D. Chief Resident in Internal Medicine, at Brigham and Women’s Hospital and Kim Galvin in the Admitting Office at Brigham and Women’s Hospital. We greatly appreciate the expert help of Angel Ayala, Department of Audio-Visual Communications at Brigham and Women’s Hospital in Boston.